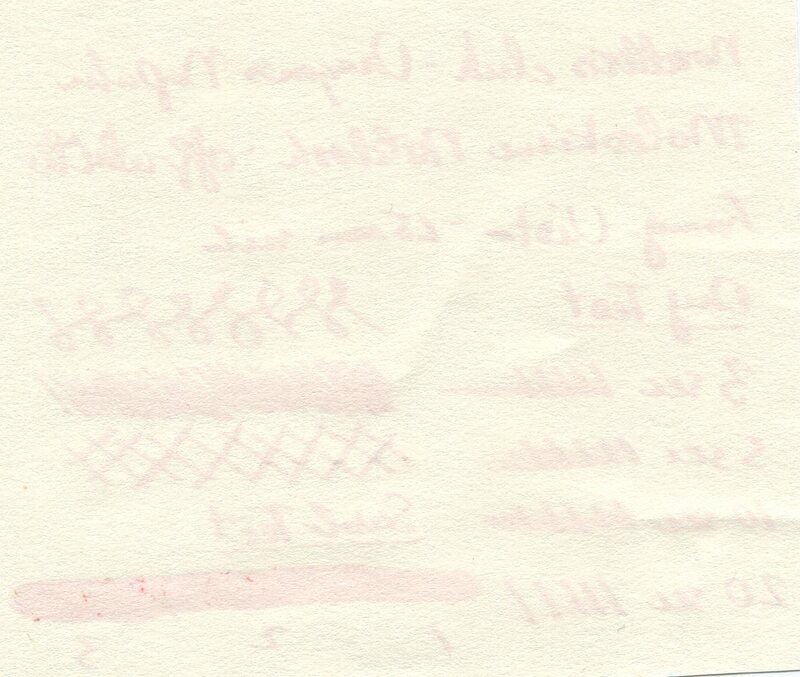 The only bleed through I experienced was on the Moleskine paper with the ink swab – so no complaints here! This is definitely not a water resistant ink. 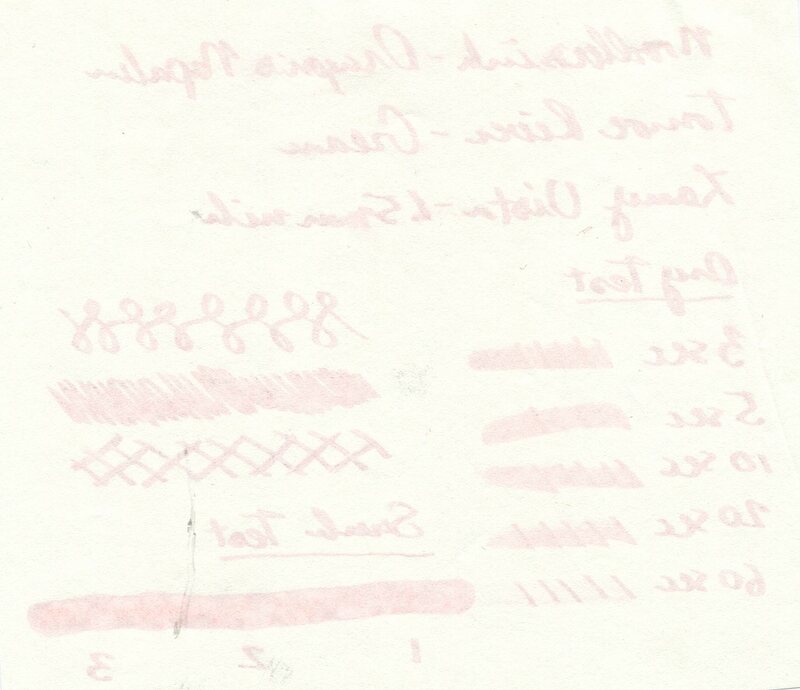 This characteristic might be good for watercolor and art, though likely not the best for longevity/archiving. 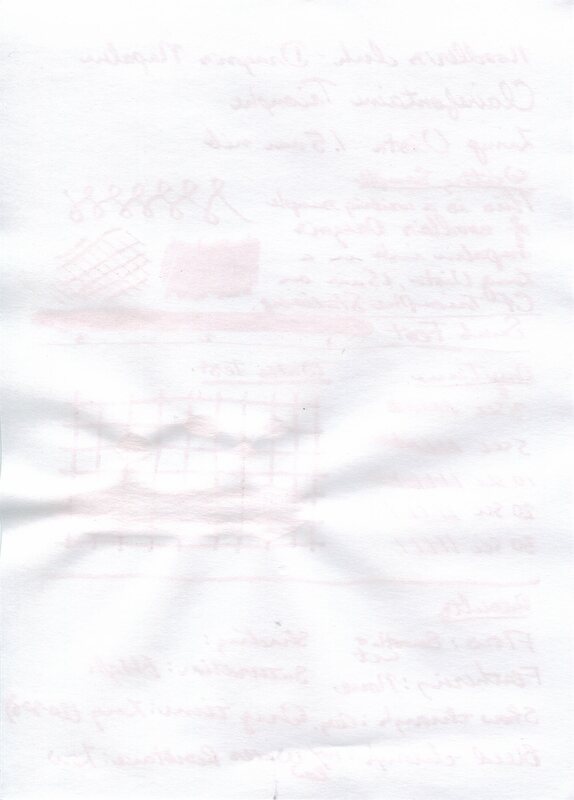 It doesn’t really matter which paper you use, you’re going to have to give this ink some time to dry. 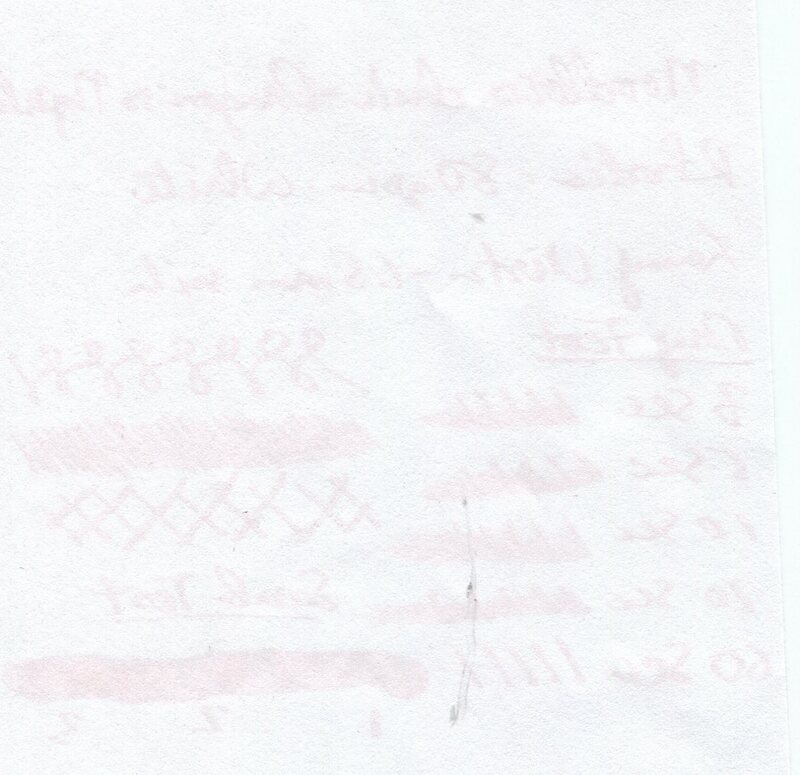 None of the papers in my test dried in less than 10 seconds, and some were still wet after 20 seconds. 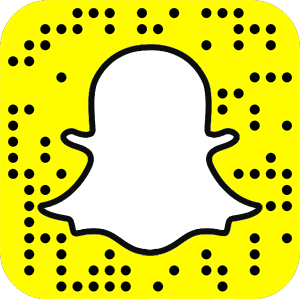 This is a highly saturated and ultra vibrant ink. I didn’t experience any shading with this ink. If you dilute it, though, you may be able to get some shading. I didn’t experience any feathering with any of the papers used, and since this ink takes so long to dry, I’m not surprised. 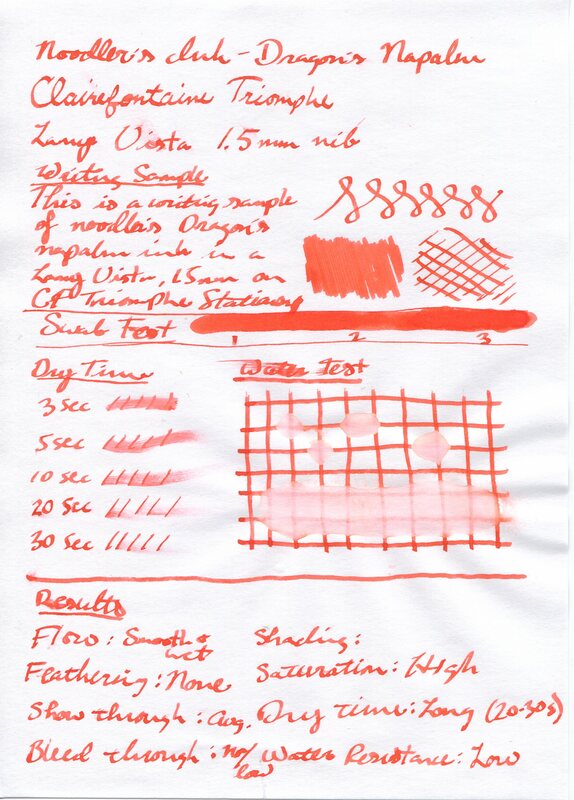 The cleanup with this ink is easy. Since it’s not really water resistant, it flushes pretty fast and I didn’t experience any shading or stubborn color. 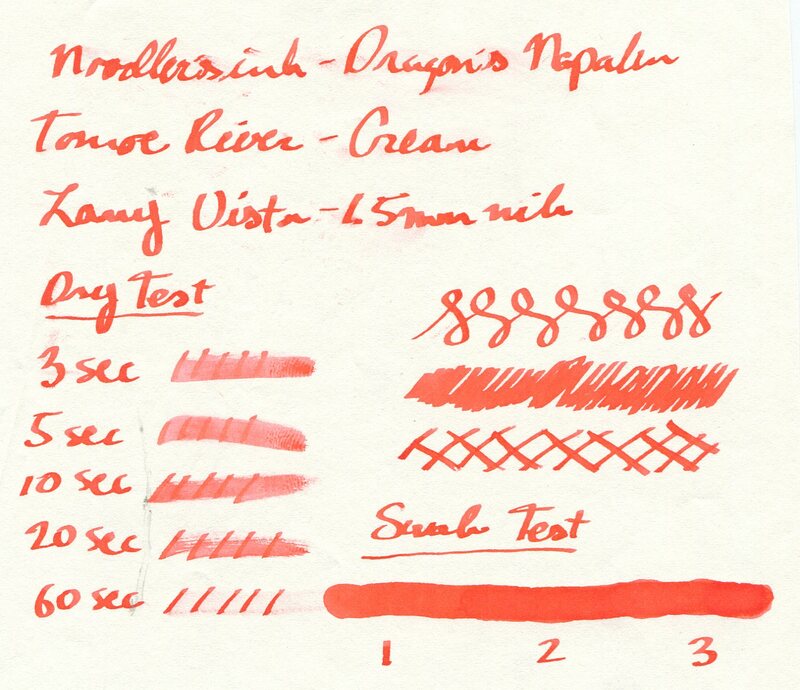 As seen in the reviews, this is a highly saturated, smooth/wet flowing, red ink without much shading. 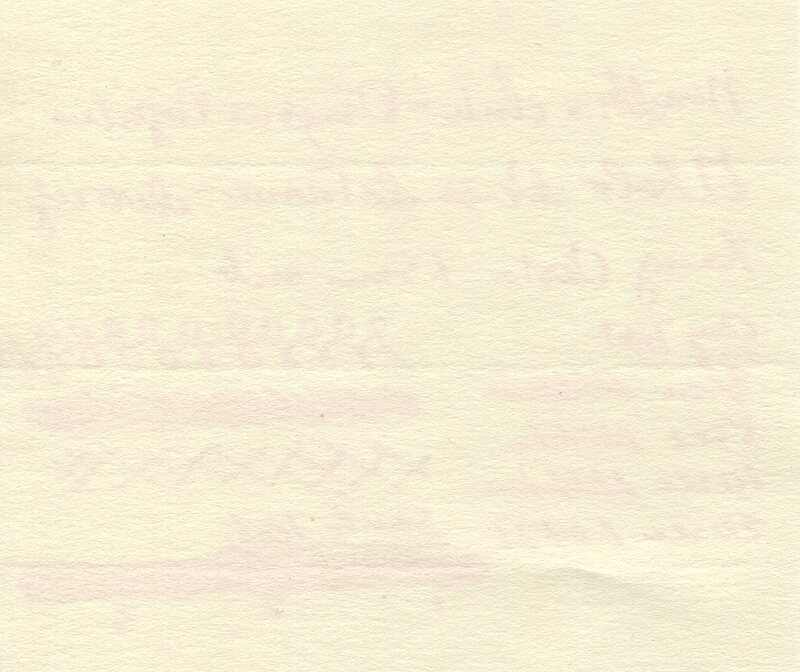 Due to its low water resistance and long dry time, I’m inclined to believe that this ink dries more on top of the paper rather than soaking into it (which also contributes to the absence of any feathering. 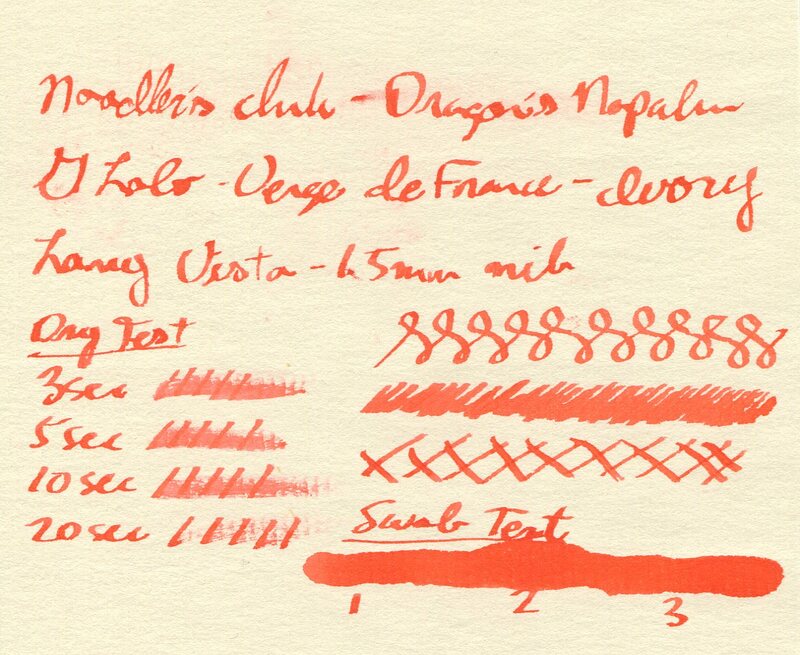 Even though I won’t likely be using this ink too often, it’s still an interesting color that I will probably grab from time-to-time. If I ever need my writing to really pop off of the page, then this’ll definitely be one I’d consider filling my pen with. 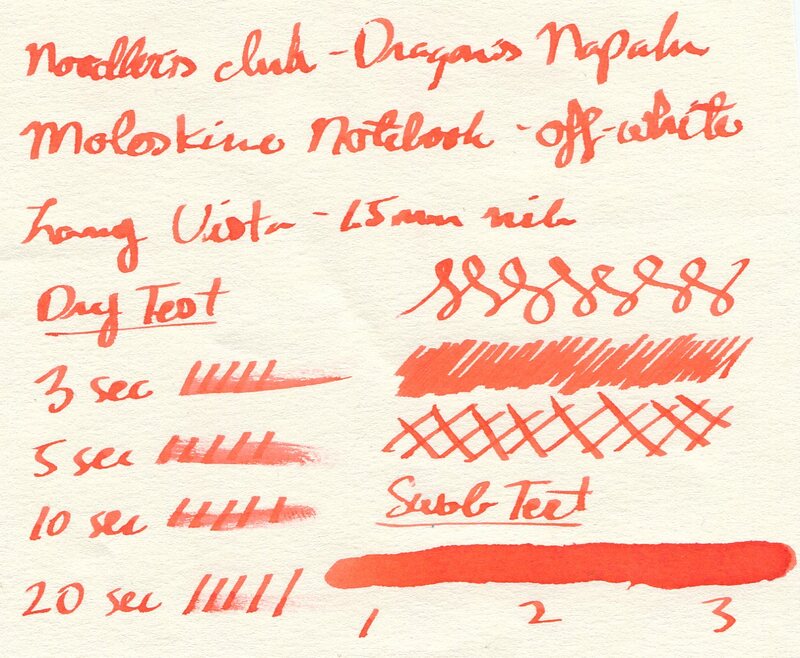 If you’d like to set your writing ablaze (pun intended,) then I’d encourage you to check out Noodler’s Dragon’s Napalm. 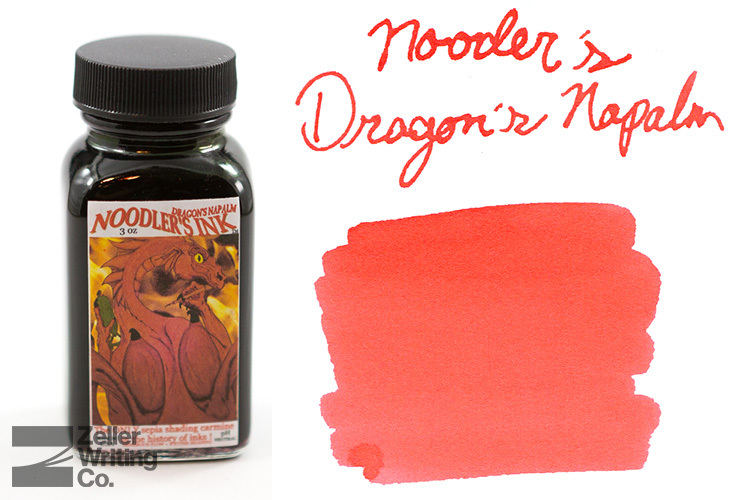 Just like all other inks of the Noodler’s Ink line, these inks are some of the best mL-for-mL values around at $12.50 for a 90mL bottle. We also have ink samples available while supplies last. 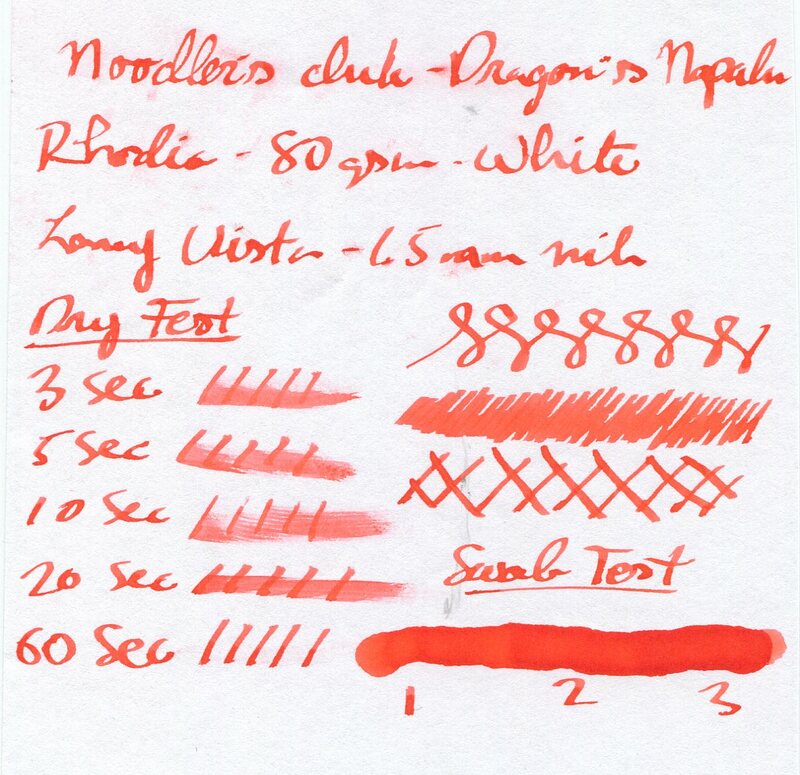 What’s an interesting ink quality you look for? Let us know in the comments below!